The mother of Shanann Watts is claiming that she knows how her daughter and two granddaughters were killed, and sent her lawyer on The Dr Phil Show to share the information. 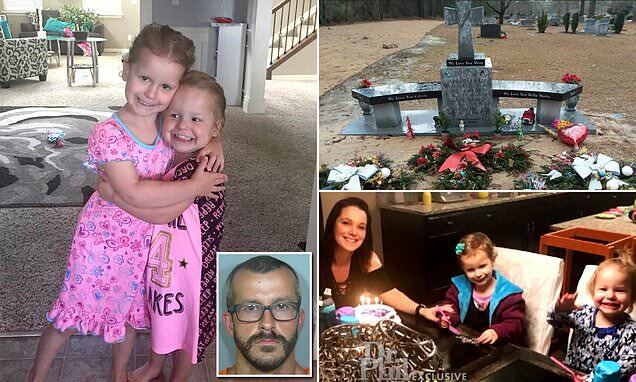 Steven Lambert said on Tuesday that Shanann's husband Chris Watts killed his wife and their unborn child after admitting he was having an affair with another woman. Next, he smothered daughter Celeste, 3, according to Lambert. He killed Bella last, whom evidence has suggested fought back against her father, but when he killed her is unclear. Lambert claims at one point that Bella may have been alive in the truck despite the fact that Watts' vehicle was captured by a neighbor's surveillance camera on the morning of the murders, suggesting Bella would have been visible. That video however shows no signs of Bella. 'The night in question Shanann came home. She and Chris had got into a fight. They made up. They were getting along really well,' said Lambert. After murdering his wife and unborn son Nico, Watts turned his attention to 3-year-old Celeste. 'He walks over and takes Cece's favorite blanket and smothers her. At that point, Bella says: "Please, daddy, do not do to me what you just did to Cece,"' said Lambert. Lambert then seemed to shift the timeline however by suggesting Celeste was not murdered until she and her sister arrived at the site where authorities eventually found their bodies.